Featuring 9 patented design elements, the CurbVault® is virtually indestructible. It can withstand vandalism from baseball bats, bullets, and more! 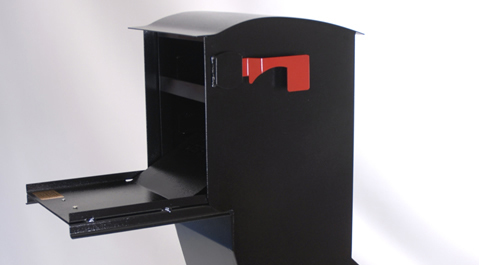 With the CurbVault® you have excellent protection from mail theft when you are in town and out of town. The CurbVault®’s 3,200 cubic inches provide ample storage room, so that you can be out of town for several days knowing that your mail is safe and secure. Once mail is deposited into the CurbVault®, it falls to the base, where it can only be accessed by opening the rear panel. The rear panel is secured with a self-locking door for your convenience and security. In addition, the 1/4" inch, 12-gage, & 14-gage ALL-welded NON-RUSTING GALVANIZED STEEL construction of the CurbVault® prevents any type of intrusion or dismantling by even the most determined thieves. 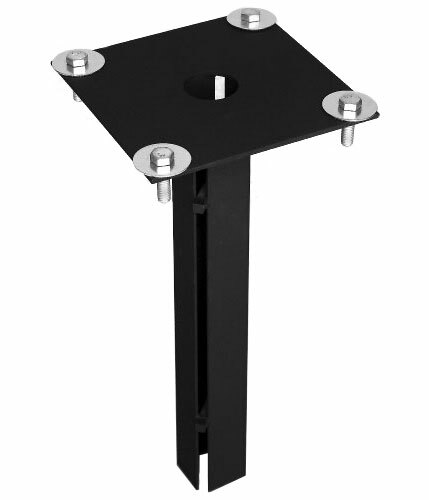 Invisible in-ground 1/4" non-rusting galvanized steel plate mount meets D.O.T. specifications, and is included. No pad needed. Rust-proof semi-gloss thick textured heavy-duty powder coating inside and out even DEFIES SEA SPRAY! No hinges to ever break, wear-out, or freeze. Non-fading UV protected red flag made of thick 12-gage non-rusting gavanized steel.